Noah has been begging us to take a Segway tour since we got to Melbourne almost 4 months ago. We have done some really cool stuff, including snorkeling in the Great Barrier Reef, the ThunderJet speed boat in Sydney Harbor, surfing in Byron Bay and more, but never have we done a Segway tour. To me it just wasn’t worth it. Well, over the past few weeks we have mostly been tourists, seeing lots of different cities, all on walking tours, and Noah has gone to everything. He has complained many times, but overall he’s been a trooper. So, Ilise decided to create a day for both Drew and Noah where they can choose what the family does since all the decisions have been up to Ilise and I. Well, Noah was so excited and all he wanted to do on his day was to take a Segway tour! 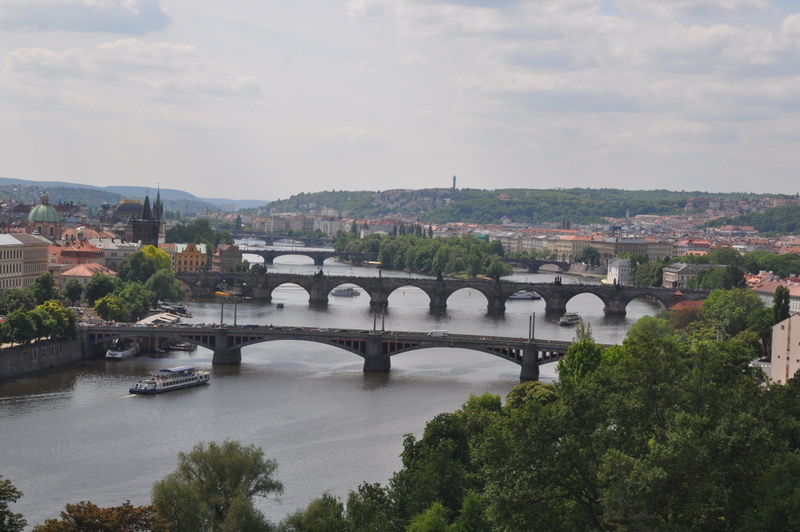 So, on Friday we booked a tour of Prague with Laslow, a young man that we met in Old Town Square on our first day in town. Laslow let Noah try the Segway and then the rest of us did the same. It was pretty easy to move around on it, but I still wasn’t convinced it was worth going on a tour. But, Noah picked the Segway tour and we started looking at some prices online. We found one tour that was 3 hours long for less money than Laslaow was charging for 90 minutes. I didn’t book it at the time and the next day, Thursday, I was in Old Town Square and we saw Laslow. 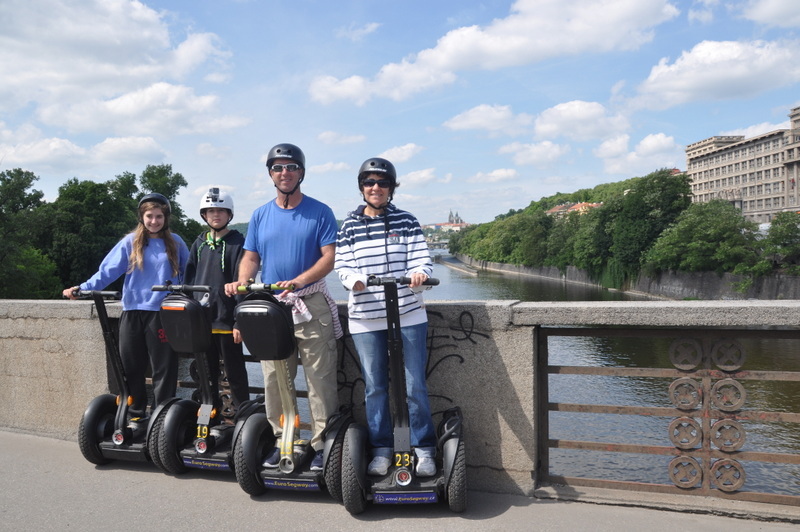 We told him that we finally broke down and wanted to take a Segway tour but his price was way too high. I told him that we could get it for much less, so he matched the price for the 3 hour tour and even offered a lower price. 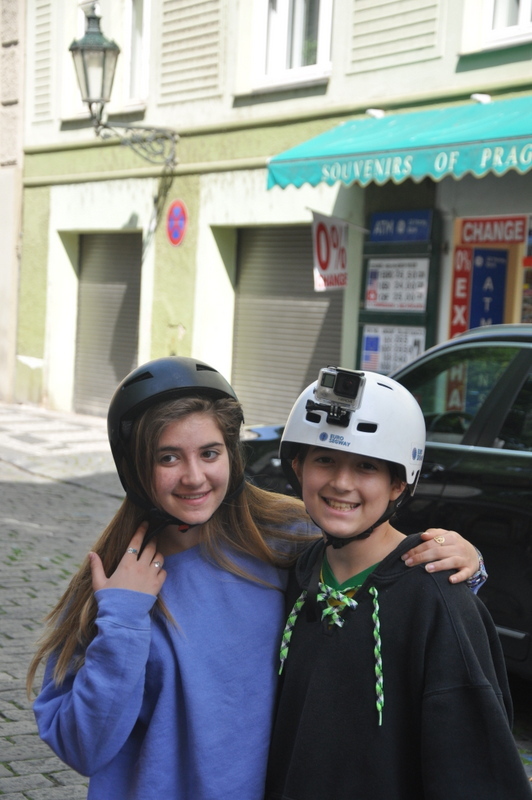 Now we were set to take our first Segway tour on Friday. Noah has had a problem waking up most days, crawling out of bed after 10 am just about every day. Friday morning, by 8 am Noah was awake and ready to go! He couldn’t hold the excitement in, so we all got ready in the morning. This was the morning that I walked into Old Town to find my camera, so I got to the square first and waited for the kids and Ilise. By 10:30 we were all ready to go and headed to get our Segways. 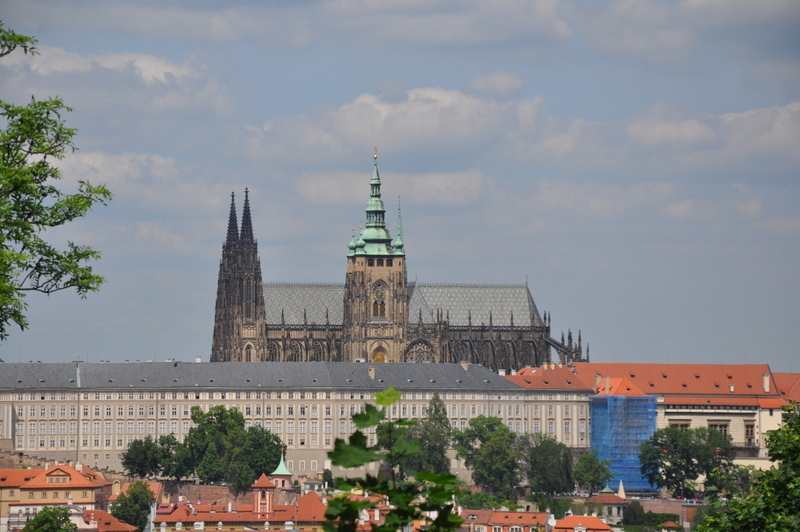 For the next 3 hours we toured the entire city of Prague including the Prague Castle area, all the parks that overlook the city and were able to take some amazing pictures. Our tour guide, Andres, was very nice but didn’t do much in terms of teaching us. He was good with getting us from place to place on the Segway, but the history was not nearly as detailed as our walking tour experiences. In the end we had a very fun day. I must say that the experience was much more tiring than I thought it would be. I think it is because you are standing for so long, it’s almost like you are skiing for 3 hours. My legs were a bit jelly like when I got off and believe if we ever do a Segway tour again, which I doubt, we should only do it for 60-90 minutes at most. We got to see a lot of the city, but we would have been fine with a few spots to see some views and then time seeing all the famous landmarks. 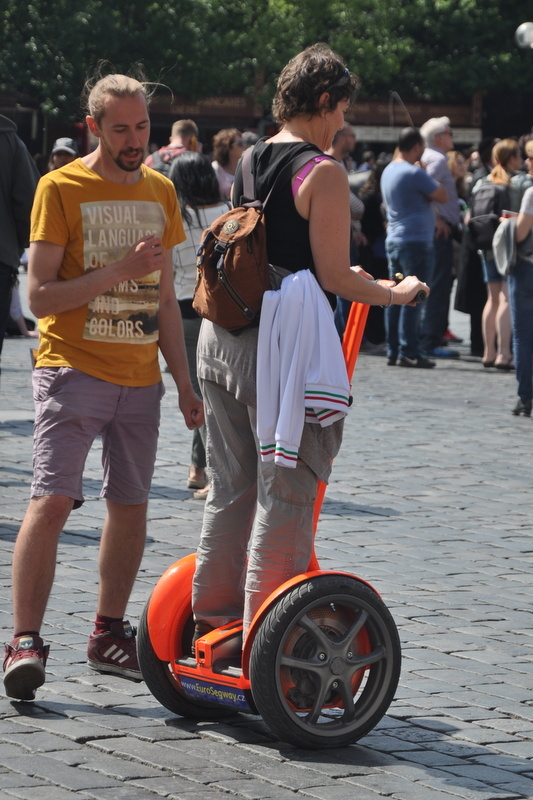 I know some people think the Segway is a great way to see a city, but it was just OK for us. I could see us doing one more before we go home, but probably not.